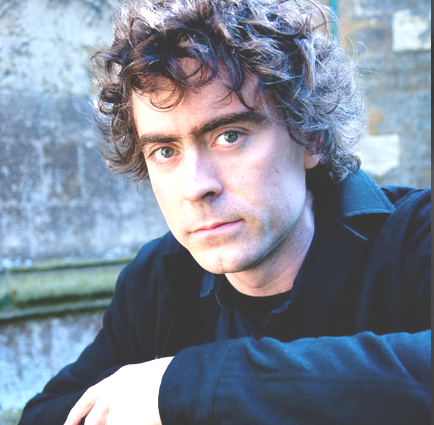 British pianist, Paul Lewis, is one of the finest of his generation. In his recent performance – the fourth of The Invesco Piano Concert Series at Koerner Hall; he captured the essence of each composer with a simple clarity, an understated elegance, and a delicacy in the tender moments -all too rare. As a result, the contrasting power of the large moments was all more effective. Lewis was in complete command of each and every note. Lewis is known for his outstanding recordings of the Beethoven and Schubert sonatas as well as his frequent appearances with major orchestras in Europe and North America. The recent program of Schubert, Brahms and Liszt looked like standard fare – an afternoon of romantic music by three masters. There would no doubt be contrasts in style. The lyrical Schubert, the brooding contemplative Brahms and the dramatic Liszt would demonstrate the variety of sounds that we lump together as ‘Romantic’. I was not prepared for Lewis’s masterful style. Schubert’s Sonata No. 9 in B Major, D. 575, written in 1817, was the earliest of the four works on the program—a gem of subtle surprises and beautiful melodies—within the context of a classical four movement sonata framework.The second movement, the Andante, was particularly gripping as Lewis beckoned the audience to hear the mystery in every note, every chord, and every phrase of the plaintive melody. The two works by Brahms, his Four Ballades, Op. 10 (1854) and Three Intermezzi Op117 (1892) are examples of his early and late piano writing. In both of these works, Lewis captured the sense of tragedy and loss. The first was written at the time of the suicide attempt of Brahms’ friend and mentor, Robert Schumann, and the second when many of his friends were ailing including his long-time confidante, Clara Schumann. Lewis’ sensitive performance was reflective of Brahms’ deep anguish. The high drama and virtuosity of the concert was saved for Liszt’s Aprѐs une lecture du Dante, fantasia quasi una sonata otherwise known as the “Dante Sonata” This piece of programme music takes the audience into Dante’s Inferno to experience the terror, grief and pain of its inhabitants. The work then gives a glimpse of paradise before leaving the listeners writhing in hell. Lewis had power and virtuosity to spare for all the forceful energy required in this major work. It was all the more effective because of the pianissimos being barely audible. This was Paul Lewis’ second visit to Koerner Hall. In this performance, he carried us through the Romantic period of music from its classical roots to a full-blown programmatic composition. He displayed a deeply personal portrayal of the music of the 19th century leaving the audience totally satisfied. The other concerts in the series have included some of the finest pianists of today: Simone Dinnerstein, Jan Lisiecki and Sir Andrew Schiff. This season’s Royal Conservatory concerts continue through April and May with many world class artists including Augustin Dumay (violin) & Louis Lortie (piano) on March 30th and Cameron Carpenter (organ) on April 1st.